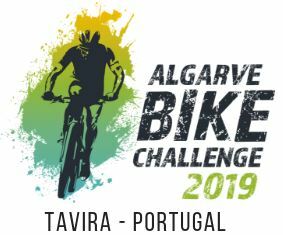 The Algarve Bike Challenge (ABC) it’s a stages event in mountain bike and will happen at the dates 3rd, 4th and 5th of March, 2017. The real challenge of this event it’s not only about winning but in the act of self knowledge, sharing the spirit of mountain bike, in overcoming your limits always in contact with nature in it’s most pure state! After 4 successful editions of this UCI Off Road Stage Race, Associação Club BCF the organiser from this event will have for 2017 the cooperation of the Algarve Tourism Department. This top quality and high level event will be elevated to an even higher level! In 2017 the race will take place in Tavira from 3rd to 5th of March. For 2017 the Race will ascend to S1 categry of the UCI calendar in order to dare both leisure, ambitious amateur riders and elite world class pro riders. The host city will remain the historical and beautifull Tavira, the perfect scenery for a bike event offering history, culture, marvellous landscapes, diversity of the terrain in his geography and orography, quality of the epic courses, excellence of the food and accomodation but also the safety and all the details prepared by the organiser of the Algarve Bike Challenge committed to offer a unique and special bike experience. Algarve Bike Challenge is a mountain bike stage race and it will run from 03rd to 05th of March 2017. ​Subscriptions will open on August 30th 2016. The event will have the UCI S1 race for Elite UCI riders and the Open Race for all riders federated and non federated over 19 years old. On the Open Race teams will race under a specific reglament. In the UCI Race it will have 2 categorioes Men and Women. To the Open Race it will be available 6 different categories including Mixed Category. Classifications will be made with the time of the second member at the finish line every day. The addition of times on each stage establishes the general classification. This concept is a surplus in endurance races, stimulating team spirit. Effort management and risk assessment are also important factors in this kind of stage race. The structure of this Race will provide everything that is necessary from water, food, accommodation, technical support while riders care only about their passion, RIDING A BIKE! On the day after, Saturday, will be raced the Queen stage. 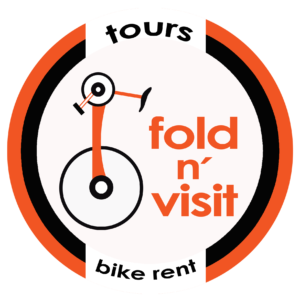 Riders will start from Tavira town centre toward north to the Sierra de Tavira. Alcaria do Cume 500 metres above sea level will mark this stage. The 2nd stage will be a little shorter with plenty of fun and single tracks.. Riders will ride on Serra do Caldeirão. The landscape, terrain characteristics will be totally different from the first stage. In order to fullfill this unforgetable weekend riders can choose to accomodate in one of the 3 amazing 4star official hotels exclusively for the race. On all Hotels it will be provided mechanical assistance, sport massages, 24H Secure Bike Park and a lounge area. Dare to Blend with Nature on the sunny coast of Europe!